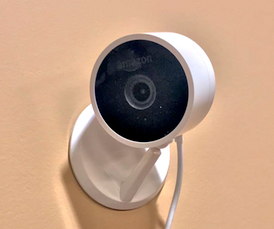 Retail behemoth Amazon has entered the surveillance market with the Amazon Cloud Cam, the eyes of its just-announced Amazon Key delivery service. 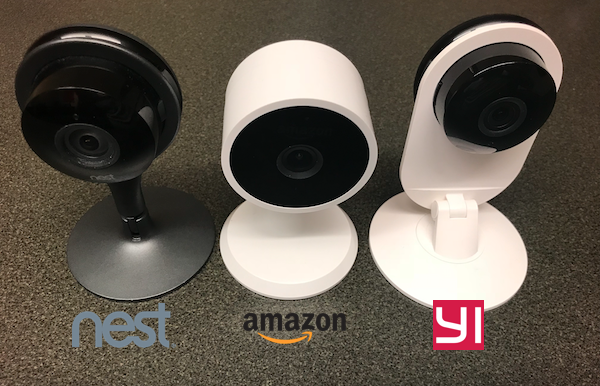 But how does the camera stack up against incumbent cloud cameras like Nest, Ezviz, Arlo, and others? We bought the Amazon Cloud Cam to find out. While consumer sites are giving the Cloud Cam strong reviews, we disagree. Compared to other options that we tested against, we found a number of technical problems that make it fairly uncompetitive, except, of course, for Amazon's massive brand/distribution advantage. 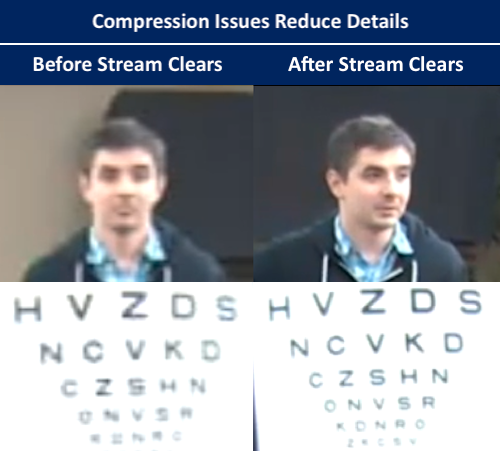 Compression issues: In our tests, event video periodically became highly compressed, with noticeable artifacting, blocking, and smearing reducing details, not seen in other cloud cameras we have tested. No way to disable audio: The camera includes no way to disable audio streaming or recording, certainly a privacy issue for some and potentially a legal issue in certain jurisdictions. Shared clips all contain both video and audio. Limited mobile app: The Cloud Cam mobile app offered only basic features, with live view and event playback for one camera at a time, and only a list of event clips with no search available by date/time or event type. No local storage: Cloud Cam recordings are cloud only, with no option for SD storage such as Ezviz, Samsung SmartCam, or others. 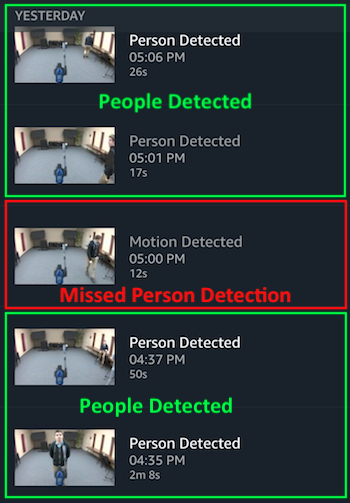 On the positive side, Cloud Cam's people detection was very accurate in our tests, rarely missing human subjects when they were present in the scene (<95% of events, out of ~100-150 events during testing), and no instances of non-human motion being labeled a person. All in all, the Cloud Cam is not a very good camera compared to what is available elsewhere but many who default to buying from Amazon may find it good enough if they do not know better. The Amazon Cloud Cam can be purchased directly from Amazon and BestBuy for $120 USD. The pricing sits in the middle of general consumer options, notably lower than the lower cost Nest Cam (~$199 online) but notably higher than similar cameras like the EZViz Mini Plus which sell for ~$65 and may still be integrated with Alexa. The Cloud Camera requires a subscription for person alerts, motion zones, and sharing of clips, starting at $6.99/month. Compared to other subscriptions like Nest aware which offer intelligent alerts, clips and timelapses, and activity zones for 10.99/month or EZVIZ which offer 7 days of storage for 5.99/month. Notably, comparable EZVIZ cameras have the ability to store footage locally with a micro SD card, negating the use of a subscription plan. 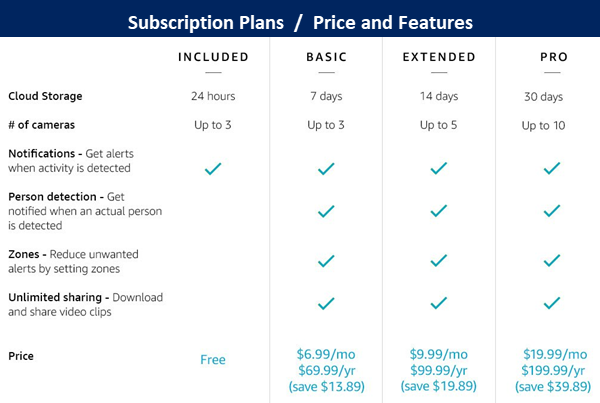 However, unlike most cloud platforms, this monthly charge is not per camera, with the Basic plan covering up to three cameras on one account for the same $6.99 price. For those who want multiple cameras, this could be a notable cost savings over time for extended recording. Free accounts may view live video, receive motion notifications (general, not people), and view 24 hours of archived video. Downloading and sharing of clips is not available in free plans. 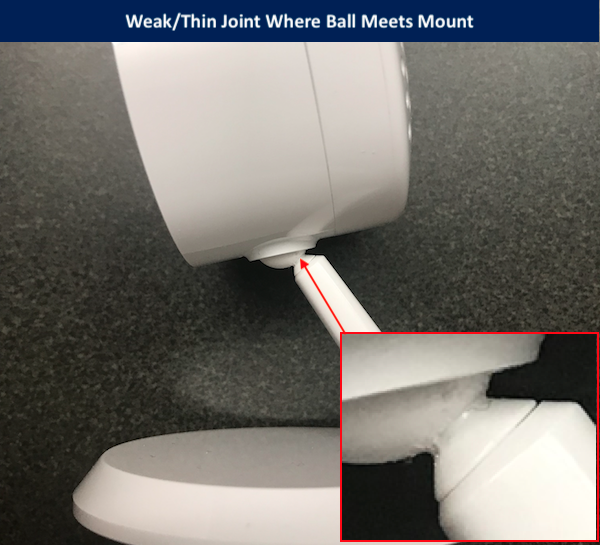 While the mount is similar to many others, the point just below where the camera connects to the ball mount is especially thin, flexing when the camera was repositioned during our tests. This may be a weak point over time if the camera is frequently repositioned. The video below provides a detailed overview of the Amazon Cloud Cam's physical features and construction. Single camera viewing only (live/playback): Users may view only a single camera at a time in both live and playback. 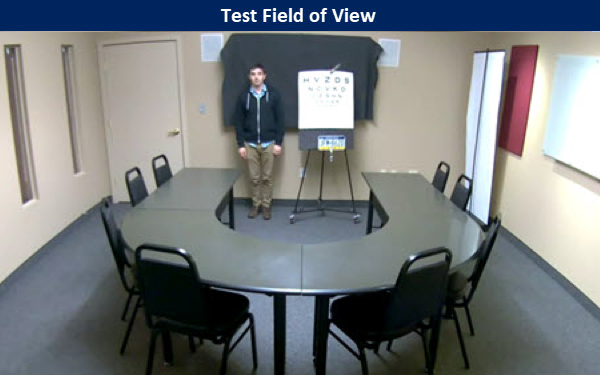 No split screen viewing of multiple cameras is available. No search or date/time entry: Clips are listed chronologically, with no way to search for specific events either by type (person vs. motion) or time/date. This may be especially problematic for those with longer retention plans, as finding events from days ago requires the user to scroll down through all clips which have occurred since then. Other features are unremarkable, with typical two-way audio controls, download videos/snapshots to camera roll, geofencing, etc. 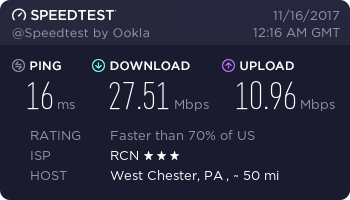 Note that during our tests, our internet bandwidth remained consistent, over 20 Mb/s down and 10 Mb/s up, tested multiple times, so this issue seems to be independent of bandwidth. We tested image quality in a smaller conference room, more similar to the size of residential rooms or small offices. The image below shows the Amazon Cloud Camera's full light and low light image quality at 18' distance from the camera / 30 PPF, about the max distance users would see in large residential rooms, small offices, etc. During the day, the camera produced rough subject detail, but overexposure issues were common, shown on the chart below. At night, IR illumination was weak at ~18', about 2' short of the camera's max 20' IR spec. The subject was roughly visible, though no identifying details were available. 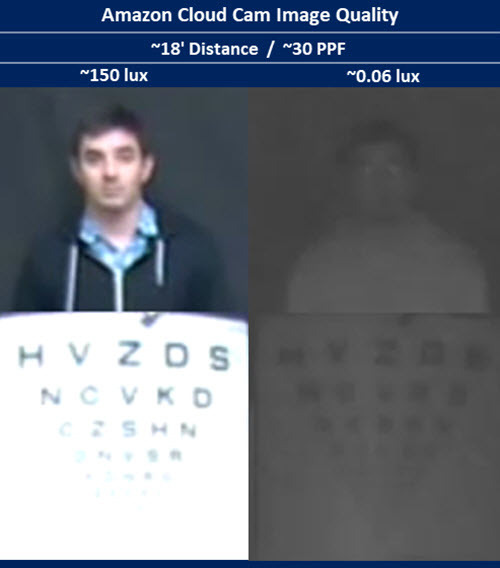 In our tests, Cloud Cam's person detection was accurate, properly identifying objects as people over 95% of the time, with only a few misses over the course of two days of testing/~150+ events.